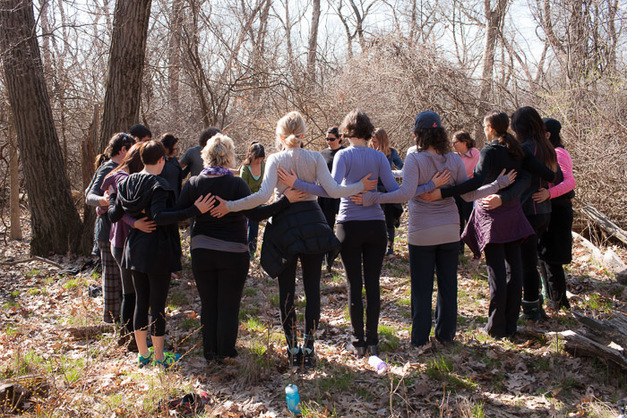 For the past 5 years I have been leading yoga retreats and have 2 more coming up in the next few months. Guess what? I’ve technically only been on ONE. February of 2011 I took a leap with my savings and invested in some time alone with teachers I respected. I had never been to Costa Rica, I had never taken a vacation without my husband since our marriage in 2005 and felt it was time to unplug a bit from the hustle in Chicago. Prior to this event all my travel had been for advancing my education. Travel had been a necessary part of my training as a yoga teacher to get in front of teachers I wanted to teach like. It had all been to cram my head and heart with the teachings of yoga. Never to just DO yoga. It was a revelation. I realized that all my past training travel, although amazing, was taxing and stressful. This time around I just showed up to class 2 times a day to soak up meditation and posturing for no gain other than my own fulfillment. My journal was soon forgotten once I decided that although these teachers would most likely be exposing me to new ideas it was time to just receive. Time spent scribbling out what I was “learning” was a distraction from my own practice. I had to give myself permission to just be there for myself. Anything I remembered would be a bonus! I met people from around the globe. Pierre from San Francisco, Anne from France, Anja from Gothenburg and Julie from Brooklyn not only became my friends on facebook but we’ve crossed paths by accident or intentionally since then at other yoga workshops. Never did I expect to make connections that would last by going on a vacation. My memories of our time there feel so distant yet so potent since they too witnessed and had their own inward expansion by stepping out of home. This time in Costa Rica with Amy, Sianna and Douglas proved to be a distiller for my hopes and dreams. Although I had a lot floating around prior to going, it was this stepping out of my comfort zone that lead me to clearly define how I wanted to step back in to life at home. First thing was first, get off of Western Ave. “You can’t even open your front windows!”, my head screamed as I watched a sunset off the balcony watchtower in the jungle. Second, it’s time to try for a family. It was a financial burden to go on this vacation but what I learned was I’d never have enough savings to feel safe. My heart told me as I watched howler monkeys swing with their babies clutched tight that I would never have what I thought was enough to provide for a family. What I did have couldn’t be measured in dollars- an amazingly positive thinking husband. “We’ll figure it out”, said my heart. Third, I wanted to be more than just a yoga teacher running through town teaching a million classes. I wanted to be a teacher who trained teachers. 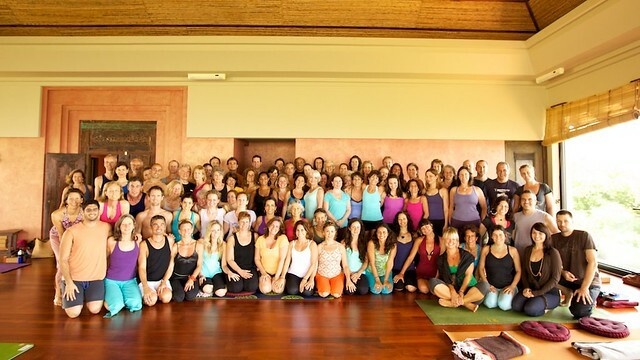 Upon my arrival home I approached a studio to lead a 100 hour immersion, which led to a guest spot in another local teacher’s training and years later 2 guest spots in yogaview’s advanced teacher training. Now I’m on faculty officially in the yogaview 200 hour teacher training. Retreating took me away from all the regular nonsense and what crystallized was clarity around what felt at the time like a map of my future. Now I’m doing the same for others. From adventures in rural Puerto Vallarta, Lake Geneva, multiple trips to Southwest Michigan and the Baja Peninsula I’ve now been taking groups of students to tap into the treasure of themselves. What a gift it has been for me to witness the transformation in people after just a few days away from home. It’s also a wonderful experience for me as the teacher to spend more time focused on the same group. I get to see more patterns in their bodies when I’m watching them 2x a day for days in a row. My hope now is for students to not only have an opportunity to relax but take back with them a more individualized practice to work with at home. 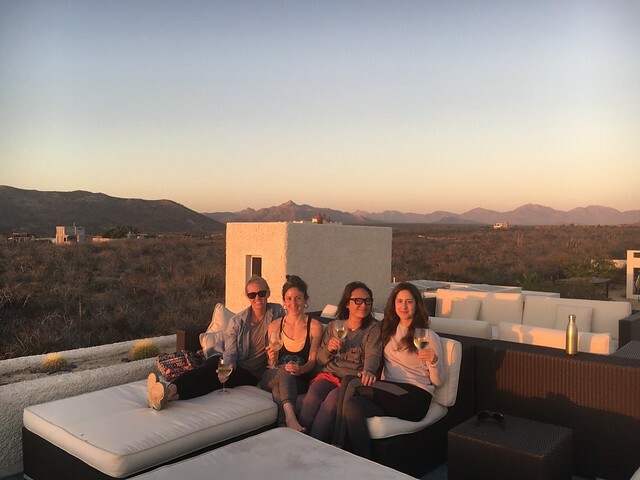 A few spots keep popping open for the MI retreat at Yoga House on Moon Acres and there is still space in my second trip to Prana Del Mar. Step out with me and uncover more than you imagined within.